Recently, we wrote about a police chief in a small Minnesota town who found himself being flown to Washington DC to be feted by the Church of Scientology and one of its celebrities, actress Erika Christensen. Why did he deserve this treatment? He was being celebrated because he had purchased anti-drug pamphlets from a Scientology front group, the Foundation for a Drug-Free World. After we wrote a couple of stories about how the police chief was being used in Scientology public relations, he had a change of heart and is no longer teaching the Foundation’s classes in his town. Now, contributor Jeffrey Augustine looks a little more closely at how Scientology uses the Foundation to lure in unsuspecting public officials. 1. A lofty and noble-sounding name: The Foundation for a Drug Free World. Who would suspect that an organization with such a fine name and apparently noble purpose is actually a shill for the Church of Scientology and designed to spread awareness of its founder, L. Ron Hubbard? 2. 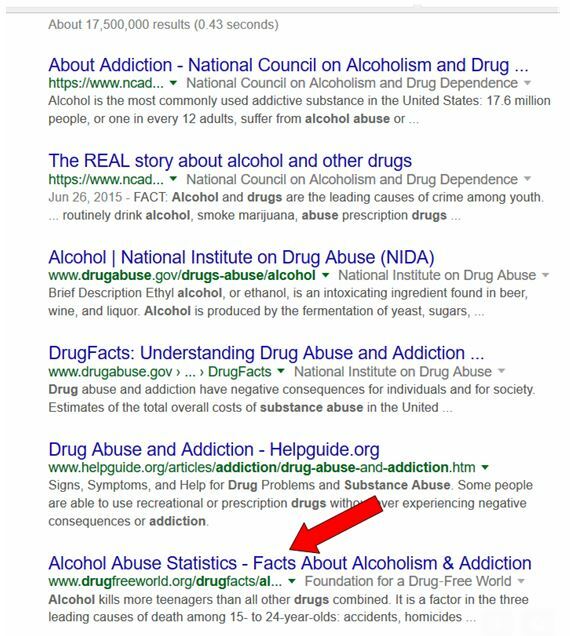 An equally lofty and noble-sounding website name: drugfreeworld.org. Who doesn’t want a drug free world? Scientology uses the names of its front groups to paint itself as a champion of literacy, education, human rights, drug prevention, and drug treatment. Who would oppose such vital and important activities? 4. Google AdWords work: The Church of Scientology’s Orgs, missions, and front groups are all legally separate non-profit corporations. 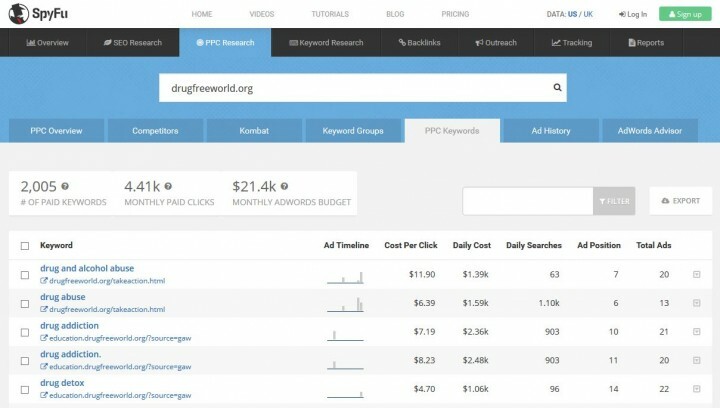 Accordingly, each of these legally separate corporations qualify for $10,000 – $40,000 per month in AdWords campaign grants from Google. 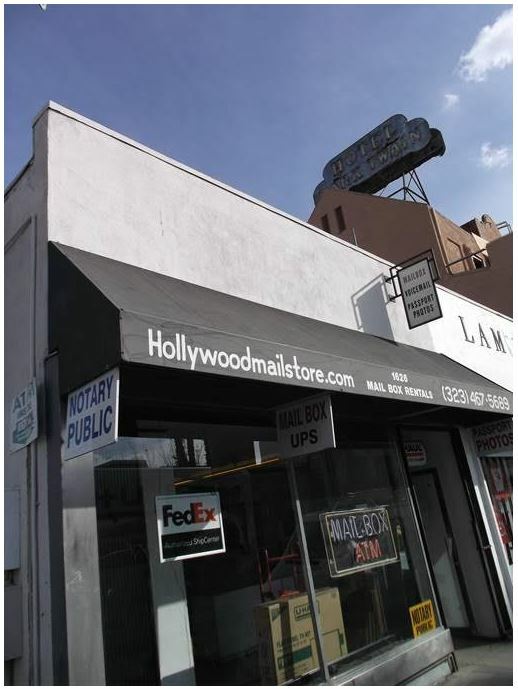 These legally separate corporations allow Scientology Inc. to cumulatively receive millions of dollars per year from Google’s AdWords donation program for non-profits, as church official Brandy Harrison boasted at a Scientology fundraiser in 2014, saying that Google had given Scientology $5.7 million in free advertising up to that point. 6. 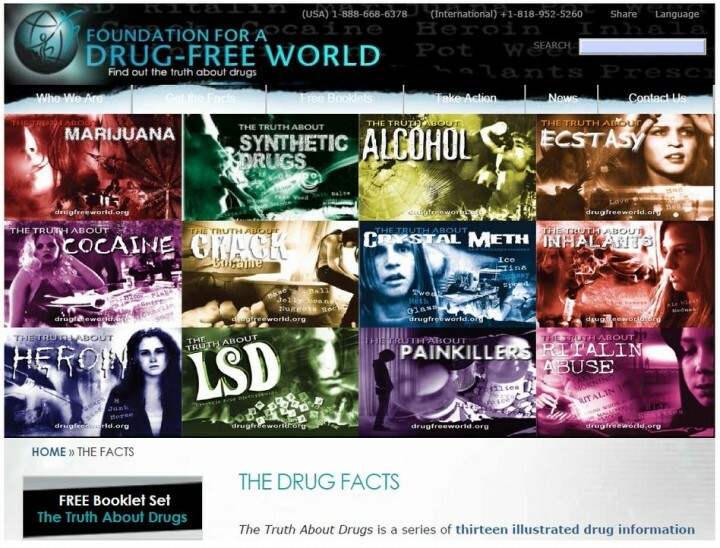 A free and easy to use “plug and play” product line: On the surface, The Foundation for a Drug Free World offers educators, law enforcement, and other officials a free and easy to use series of booklets and DVD’s There is even a pre-prepared series of classroom lessons and tests about street drugs and their effects. This ready-made drug education curriculum is designed to meet the requirements for school districts or law enforcement to obtain grant monies, or, to satisfy the requirements of grant monies already received. The police chief in Minnesota needed to find a way to spend his city’s part of a $1.5 million federal grant, and fast. The Foundation for a Drug Free World’s materials must have seemed like a slam dunk. All he had to do was to pay shipping. 8. 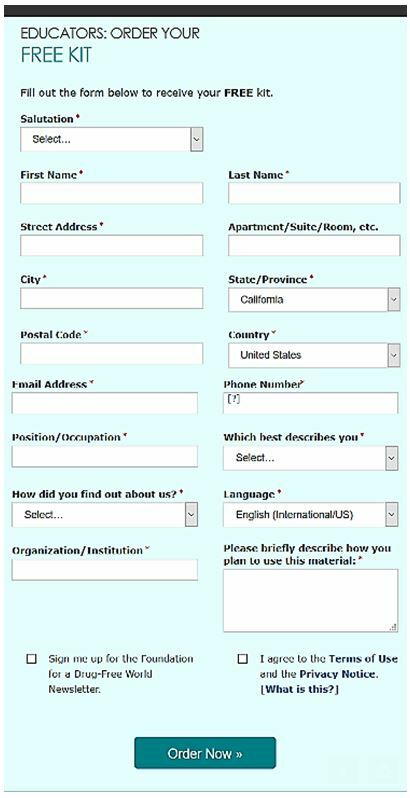 Data harvesting and lead qualification: After you check the box and proceed, we at The Foundation For a Drug Free World just need a few more details. As I was going through the Foundation’s website and saw this form, I was reminded that a key part of any successful sales organization is to generate and qualify leads. Hence, the “free” educator’s kit order form is actually a way to harvest data and qualify leads. The Foundation For a Drug Free World exploits good people who have spent decades building their careers and reputations. This is how a police chief’s good name and image is used by the Church of Scientology. 10. Attack the attackers: Scientology’s noble-sounding front groups allow Scientologists to create an important tautology. Whenever Scientology’s “social betterment” groups such as Narconon are exposed as scams, Scientologists reflexively respond to criticisms by arguing, per Hubbard’s self-serving fallacy, that only SP’s don’t want people to get better. Therefore, those who “attack” Scientology’s “social betterment” campaigns are SPs working for Big Pharma, etc. This same line of attack is invoked against “bitter defrocked apostates” (former Scientologists) who expose the Church. Even the title of Hubbard’s Dianetics: The Modern Science of Mental Health is based upon this same fallacious syllogism: Dianetics is committed to mental health; anyone who opposes mental health is suppressive and evil. Scientology really is a bubble world made of dense, hyperbolic, self-absorbed, and self-reinforcing language rooted in logical fallacies. One example: In Scientology, Hubbard declares his non sequiturs to be axioms, and, per Hubbard, science itself is built upon axioms. Thus, Scientology is scientific, and, science is true. Thus, to attack Hubbard or Scientology is to attack science and truth. 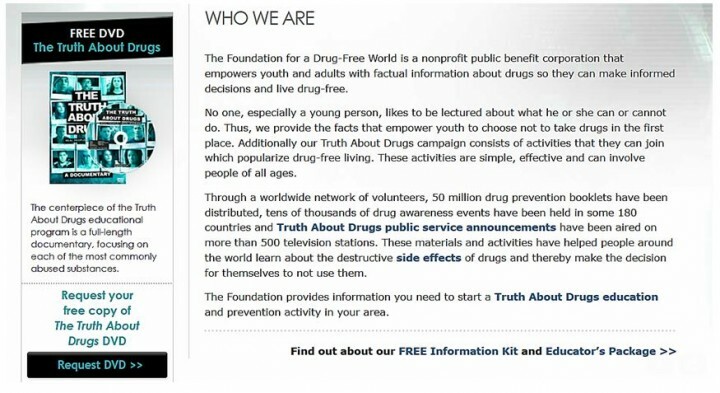 The url drugfreeworld.org is registered to Pascal Cottier, the Foundation’s director, who has also been identified as a part of the Church of Scientology’s media relations office. An online check of IRS 990 forms shows that the Foundation last filed a 990-EZ in 2010. As of 2014, The Foundation for a Drug Free World has no assets or income listed. This suggests that either OSA or the IAS, or possibly both, are funding the Foundation’s activities. 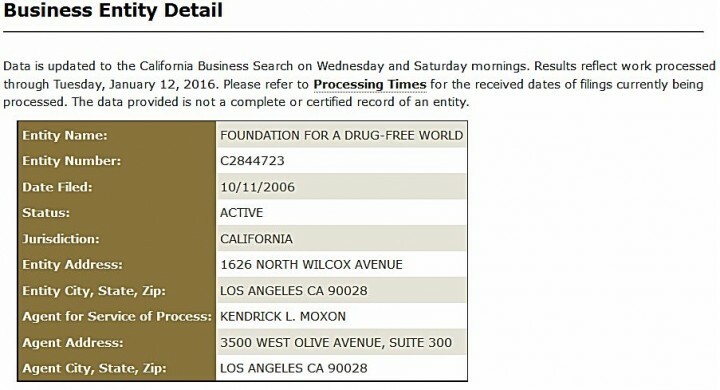 With the exception of Narconon, the Foundation For a Drug Free World exists solely — like Scientology’s other “social betterment” groups – as a rented PO box linked to a website with a shopping cart. That’s it. This Foundation is an ankle-deep operation designed to generate PR for the Church and hopefully snag some grant money from unwary cops and teachers. Should Church of Scientology Be of interest to the Department of Homeland Security?